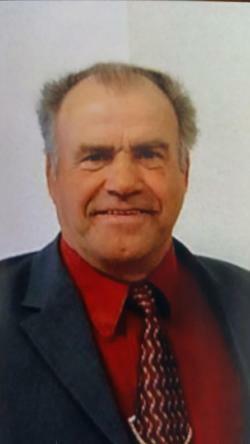 John Paul Noel, of Coburg, passed away at the Saint John Regional Hospital on April 8, 2019. Born in Moncton, he was the son of the late Albert and Regina Noel. Because of his belief in the Bible and with his strong faith, he knew that Jehovah will remember him in the Resurrection here on Earth. He was the proprietor of Broadway Paving for over forty years. This was a work that he loved doing. He is survived by his wife Irene, sons: Danny, Myron (Wanita), Michael (SusAnne) and his grandchildren; Alexander, Austin, Malcolm, Daniel and Isabelle. Being from a large family he will also be missed by many: brothers, sisters, nieces, nephews and many dear friends. Services will be at the Kingdom Hall of Jehovah’s Witness, 25 War Veterans Ave., Moncton on April 20, 2019 at 1:00pm. Arrangements entrusted to Cobb’s Funeral Home and Cremation Center, 330 Whitepine Road, Riverview (869-2007).